Posted on October 21, 2016 by Emily Allbon. 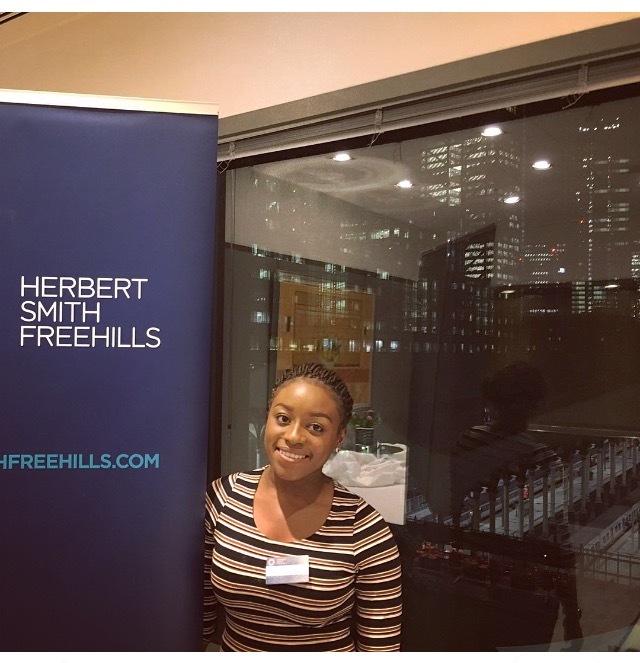 Lawbore’s Christianah Babajide reviews a Herbert Smith Freehills panel event. The “Black History Month” themed event focused on how Law students can embrace their differences and use them to their advantage in their legal career. Chairing the event was Veronica Roberts, Partner at Herbert Smith Freehills and EU and UK competition law specialist, who posed questions to speakers on the panel. Does prejudice still exist in the legal sphere? 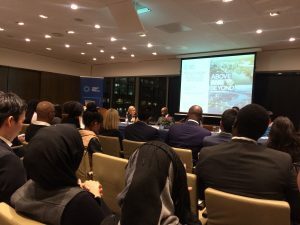 Many Commercial City Law Firms claim they offer a diverse working environment, embracing multiculturalism, prompting the assumption of a decrease in prejudice within the legal sector. The reality is that many Law Firms continue to approach these issues conservatively, preserving the existence of bigotry. 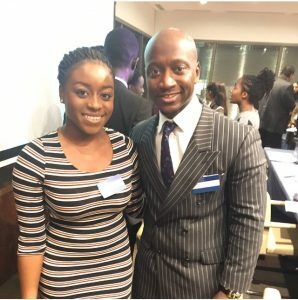 When Tunde Okewale MBE, Criminal Barrister at Doughty Street Chambers, greeted the audience of aspiring Legal Professionals, he recounted an embarrassing personal anecdote of mistaken identity, when he himself, during the course of a trial, despite being the legal representative, was called to take the stand, of all places, as a defendant! 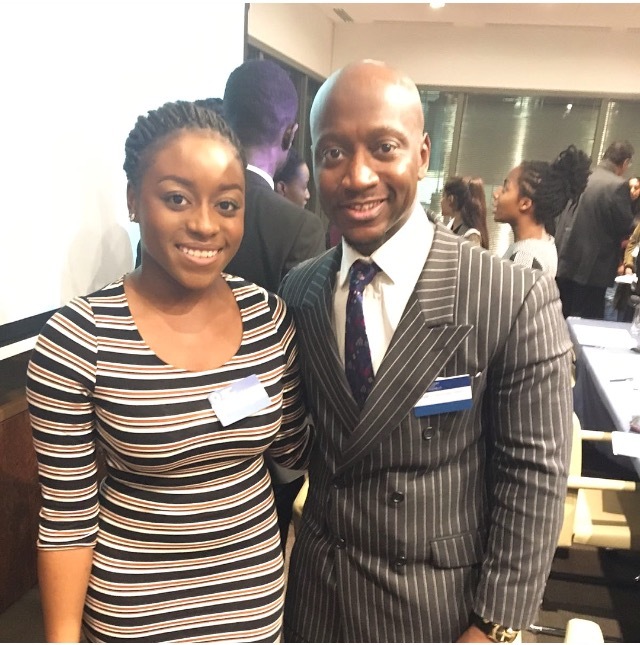 To summarise Tunde’s advice, he urged Law students to react optimistically when confronted with discrimination on the basis of gender or ethnicity. Naomi Ofori, Trainee Solicitor at Herbert Smith Freehills added: “the only thing you can control is your reaction and attitude…” On a more positive note, she highlighted that being black could be used to great advantage. Naomi digressed, emphasising that whilst being a BME worker in a white-dominated society can make you feel invisible, with respect to the creation of an inclusive atmosphere, appearing different can increase your individuality, having the contrasting effect of hypervisibility; thus, the impression you make on colleagues is likely to be more memorable. Echoing Tunde’s experience, District Judge, Tan Ikram, also admitted he was once misidentified as a defendant! “Perhaps it had never occurred to them that maybe I was the Judge,” he stated, seeing the lighter side when others may have been rightly offended. How does your background positively impact your career? When entering an elite profession dominated by white British males, black women are not only burdened by their race, but also by their gender – double jeopardy. However, Naomi shared her optimism, suggesting that the benefit of increased exposure, “as a black person,” outweighs, to an extent, the impact of sexism, receiving “many (job) offers” throughout her career. Providing nuggets of wisdom, the panel unanimously agreed that success would be bestowed upon those who work hard, maintain their strong academic records and never give up. Asad, who has written for the Huffington Post, advised Law students to read extensively, which will help to develop opinions. Speakers on the panel presented a general overview, analysing the effects of multiculturalism and diversity on the graduate market, while also explaining on a more personal level, their own professional experiences. Veronica concluded the evening by expressing her joy over Herbert Smith Freehills announcing a rise in Trainee Solicitor intake, which will, with any luck, proliferate the window of opportunity for multiculturalism to grow in the City and simultaneously convey an enhanced reflection of clients served. Author Christianah Babajide is a guest contributor to Legal Cheek and you can see her work via her Legal Cheek profile page. She also writes regularly for Lawbore and CAREERS (City’s Careers blog). Thanks for this event review Christianah!